Infinity Roses are distinguished products of style and beauty. Our professionals who make these gold-plated roses are crafts-people making the highest quality products. During manufacturing, our Quality Control Team follows the rose making process, so that every rose meets the highest of standards. From the picking at the greenhouse all the way through to the end of production, the roses are watched closely to ensure their condition. All our customers are invited to return their rose purchase if they are not completely satisfied. 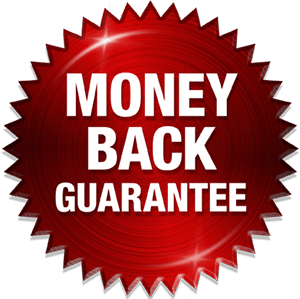 Customers receive a full refund if they send returns it to our postal address along with the invoice number within 90 days from the date of the invoice. Please allow one week processing time. At Infinity Rose we sell sturdy, quality products, however in the unlikely event that your product has a flaw in workmanship or materials, we’ll replace it. Please be aware though, that our warranty does not cover occurrances like: Usual tarnishing of the gold or other precious metals, bends or breaks from being dropped, deterioration from corrosion as the result of coming into contact with cleaning agents (only metal cleaners should be used every few years to clean metals). If you need to return a product, click here.